I trudged up the stairs, each foot weighing a hundred pounds. What was the point of taking the stairs when no one was keeping track of it, no one was giving me credit for the staircases I climbed or the miles I ran. No one even knew how many beats per minute my heart pounded for my resting heart rate -- all because my Fitbit broke. The clip on the back, where the charger plugs in, pulled loose from the band, and the little computer circuit fell out too. As soon as it happened, at around 9:30 in the morning with 7000 steps under my belt, I wanted to climb back into bed. Walking anywhere seemed pointless. Of course, I'm being a bit sarcastic, but people like me, who are competitive and inspired by beating our own records, are motivated by things like a Fitbit. I've always made sure I run or walk in the morning, but I could spend the rest of the day sitting in front of my computer if I'm not careful. 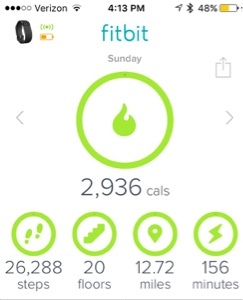 The Fitbit got me moving, a minimum of 250 steps for nine hours a day. 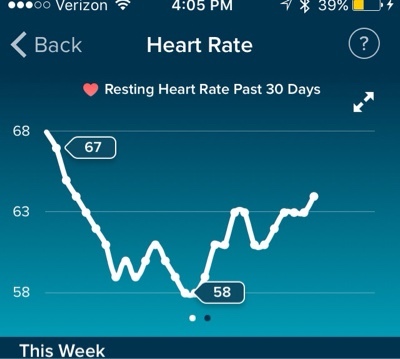 I loved checking on my resting heartrate and seeing it slowly decline to 58 beats per minute -- that's nearly athlete level resting heartrate. A normal resting heart rate for adults ranges from 60 to 100 beats a minute. Generally, a lower heart rate at rest implies more efficient heart function and better cardiovascular fitness. For example, a well-trained athlete might have a normal resting heart rate closer to 40 beats a minute. Some "friends" joke that they don't need a computer telling them what to do, but the Fitbit never told me what to do, it kept track of what I did. For instance, I slept every night, but I never knew exactly how long, or how many times I woke up or became restless, until the Fitbit started keeping track. The Fitbit might not always get it right. Sometimes it might think I'm sleeping when I'm only lying in bed reading, but I suppose that counts as resting too. And, of course, it kept track of my daily steps. For anyone who gets a Fitbit, the daily goal of steps is usually set at 10,000, which equals about 5 miles. I could pretty much always reach 10,000 steps a day so felt good about it. Then, in January, Fitbit suggested that I needed to up my game. It wanted me to set my goal at 14,500 steps a day. It said my average steps were already in the 13,000 range, so I increased my goal. If I don't run or walk in the morning, I have very little chance of meeting my goal, but most days I reach 14,500 steps and some days I knock it out of the park. 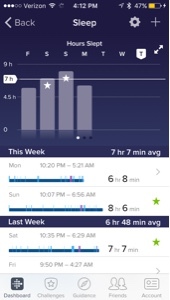 So, now, what would I do without my Fitbit? I knew from previous experience that Fitbit had a good warranty. I received my first Fitbit a year ago in February for my birthday. It broke at the charging sight about three months in. Here's where I first blogged about it. 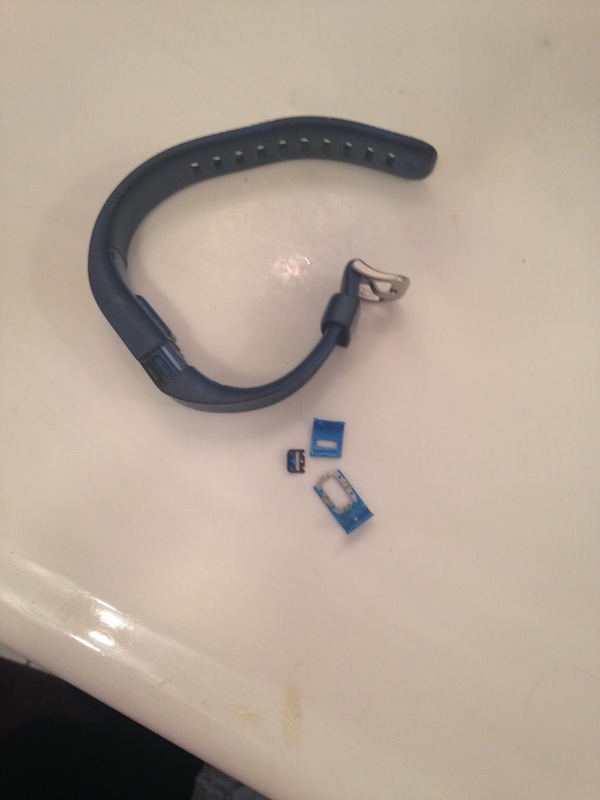 I contacted Fitbit and they sent me a new one. Simple enough. So when my latest Fitbit broke, I emailed the company and sure enough, within a day, they responded that they could replace my current Fitbit. Does it make sense though? I've already gone through two Fitbits with the same flaw. I was extremely careful when plugging the second Fitbit in and unplugging it. I knew how delicate those pieces could be, and I still broke them. My neighbor was showing off her Apple Watch. Apparently, it does everything the Fitbit does, plus more. I looked at the cost and choked a little -- between $300 and $400. 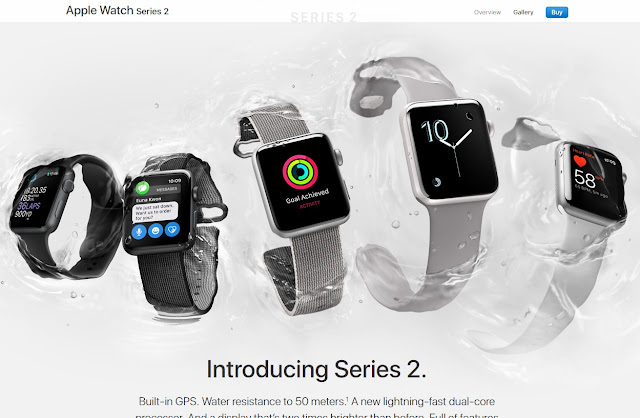 "You push a button and it repels all the water from the watch," she bragged. Oh, how I wanted one. My Apple Watch envy flared. I imagined swimming laps and having them count! In class, as I made the students bring papers up to me rather than walking around to them (What's the point if I don't get credit for the steps?) one of my students showed me her Fitbit Blaze. It's like an Apple Watch but not as extensive. The whole square of the watchface charges so at least I wouldn't risk breaking it in the same way as the others. In its email, Fitbit offered me a free replacement of the same Fitbit HR or said I could take 30% off another Fitbit product, like the Fitbit Blaze. They cost $199, so that would still leave me on the hook for $130 after the discount. Meanwhile, as I weigh the pros and cons, every step I take is wasted because no one is keeping track. I resent every step I take without my Fitbit. And, I don't even use it as extensively as you. I just like knowing the steps are counted. I use the kind that clips on my bra -- the whole device plugs into the charger, so no issue with the charging site. I've had it for nearly three years. I really expect the battery to die any day now. Joy, It's impressive that your step counter has lasted so long. I suppose the more jobs you add to something, tracking sleep, heart beat, etc.. then the more likely it is to break easily. I love my FitBit. When I am on deadline for work, I spend way too much time at the computer and don't get anywhere near 10K steps (especially since I work from home). But there's no rationalizing it away; it's indisputable. I do kick myself when I am walking to the market and realize I forgot to put it back on after showering. All those steps lost! I don't have the budget for Apple anything so I wouldn't presume to advise you. But clearly some kind of replacement is needed because you appreciate the data so much. 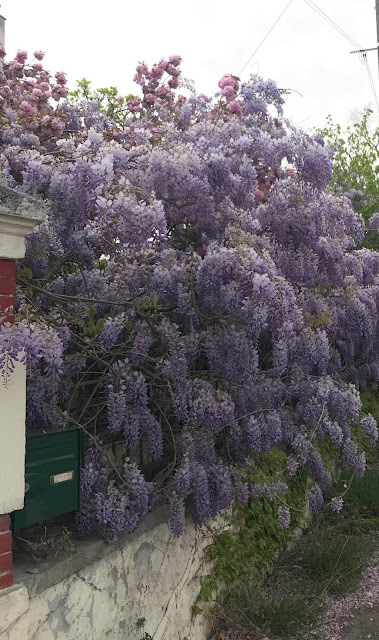 A perfect response from Francetast, ...."clearly a replacement is needed because you appreciate the data being collected. Suympathies until the next one arrives. Thanks. 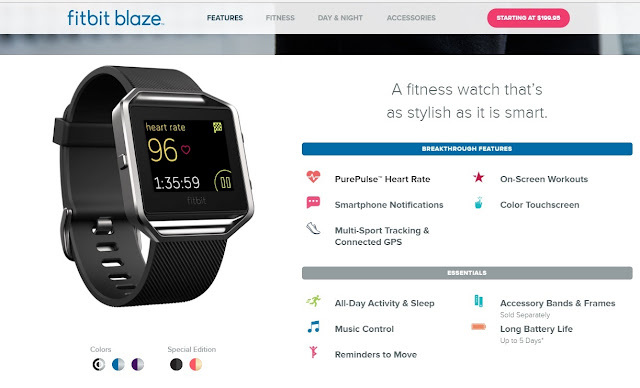 I wanted to spring for new Fitbit Blaze, but it's hard to pass up free. I ordered a new Fitbit HR today.